Crab cakes were good. Service as expected. I love the salmon!!! The chef is amazing! Great food excellent wine list.Need a happy hour menu . Perfect atmosphere. Great food excellent wine list. Need a happy hour menu . Perfect atmosphere. This is a great place in downtown Anderson to meet someone for a fabulous lunch. Great menu, great specials, great service and the food is outstanding. CiCi our waitress gave us outstanding service! Excellent menu to choose from, including gluten free! Dog friendly patio, bonus! Menu also had extensive healthy dishes as well! Convenient location, would highly recommend to any and everyone! Thank you CiCi!!!! Great food. Live music on the weekends. A little pricey but you get what you pay for. Great brunch at a decent price. Love Doolittle's and their staff. My favorite is the Harvest Salad with chicken. Great casual menu for a drink and lunch/dinner. Friendly wait staff and atmosphere. You can make it a quick lunch or linger over your meal and drinks. Always a good time at Doolittle’s. Heathy good food and a friendly helpful staff. Good atmosphere as well. The service there was excellent! And the menu is very creative, interesting and well-prepared! Food was awesome, service, too. This is a great downtown neighborhood restaurant. Make sure you grab an excellent cocktail from Renee or Talbert. I love the live music that’s offered here. The food is always great and the staff is very friendly. Hands down one of the best experiences I've had at a restaurant. They had a live band and although it was a bit loud... the food and service were incredible. I will definitely be back! Super friendly employees, delicious BBQ pork and cheese grits, and my husband enjoyed his buffalo chicken sandwich and cream of mushroom soup! Great service ,atmosphere and food! The food is delicious. The staff is courteous and kind. The price was surprisingly not as expensive as I had expected. It averaged out to about 10$ a person for lunch. Great burgers and beer! We also enjoyed the live music. Great atmosphere. Service is always amazing here. They often has a live band or musician to top off the atmosphere. Not many vegetarian options, but the food is still very good. My family frequents this restaurant and we are never disappointed. The food was delicious. I don't care for green beans, but the green beans that came with my meal were amazing. I ate every last one! I highly recommend this place! We so enjoy the delicious food the service and awesome entertainment! The food was excellent. I ordered a house salad which was smaller than I expected, but it ended up being the perfect portion size. My husband ordered the barbeque chicken stack which was also delicious. Anna was our server and she did an absolutely phenomenal job. We will definitely be back! The food is delicious here and the service was excellent! My only complaint is that portion sizes are a little small for the price. Good was great!! The waitress was precious!! And the owner was fantastic!!! A great place to go get a yummy filling meal especially for sunday lunch. Super sweet waiters. John and his staff always takes care of there customers. Five Star. Good food and friendly staff. The cheeseburger soup was amazing, rich and tasty. One of my favorite restaurants in all of Anderson! 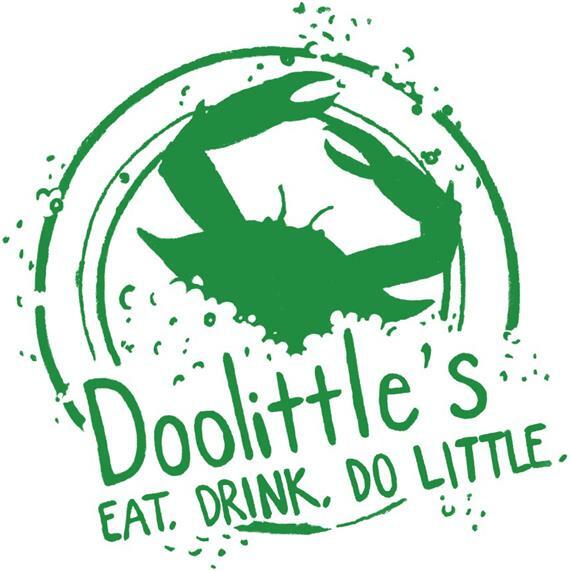 From the staff, to the food, Doolittle’s is top notch! Every time I go there I feel a part of the family!